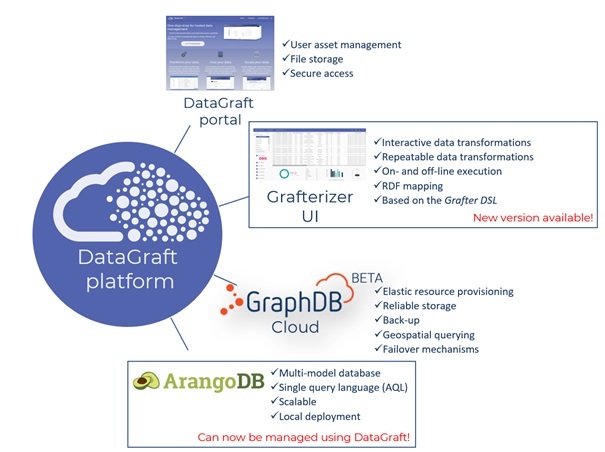 DataGraft (https://datagraft.io) provides a collection of tools for integrated management of data transformations and hosting and access of graph data. It is organized as a set of cloud services that are delivered through the DataGraft portal. Its latest version has been extended with new features and capabilities aimed at easing the burden of data workers and data scientists! Did you know that data preparation accounts for about 80% of the work of data scientists? Preparing and transforming large amounts of data from a raw tabular format to semantically enriched data can be time consuming and difficult. Most data scientists also find this task to be one of the least enjoyable. 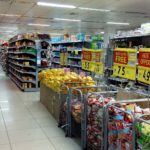 Moreover, the process of integrating business data in EW-Shopp with events and weather data requires specific knowledge about the content of the knowledge graph and how to map data schemas to shared vocabularies that can enrich the data. ABSTAT – Understanding the content of the knowledge graphs (the linked product data) by providing statistical profiles and data quality insights. Let’s have a closer look at how the different tools can contribute to more effective work processes and free up time for data scientists to focus on more important tasks such as data analysis. 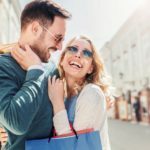 After all, this is where we want to spend more time in EW-Shopp to really understand how events and weather can target marketing along the shopper journey. Our focus has been on providing users with an integrated solution that can both clean and prepare data, semantically enrich data, and give useful insights about data quality. 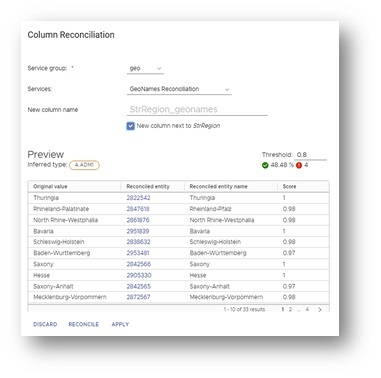 The result is a data preparation and enrichment service that combines all three functionalities in one user interface. That is three needs met by one solution. 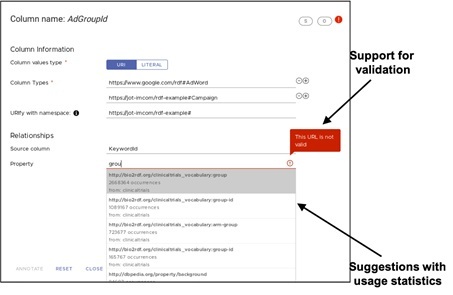 The process of onboarding data to the knowledge graph, starts with cleaning and transforming the raw tabular data to a scheme and format that can be mapped to a data model. Finally, Grafterizer, through the ASIA tool, now enables users to reconcile and extend data in various ways by the use of knowledge graphs (GeoNames, Google GeoTargets, Wikifier) and weather data repositories (ECMWF). More additions and extensions to this feature will be coming in the future! 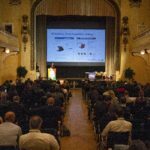 DataGraft’s original target has been towards RDF data stored in triple stores using GraphDB and the GraphDB Cloud database-as-a-service. As part of the EW-Shopp toolkit, the services have now been extended to provide transformation and hosting of graph data in the ArangoDB multi-model store (https://www.arangodb.com/). In ArangoDB node data in tabular form and the edge data (graph relationships) can be stored and queried in the same database. The transformation of data into ArangoDB graph format is different from the standardised triple store due to the structure of the database. Grafterizer is now able to produce transformed collection data (i.e., node and edge collections) in JSON format to ArangoDB that can be downloaded and directly stored. 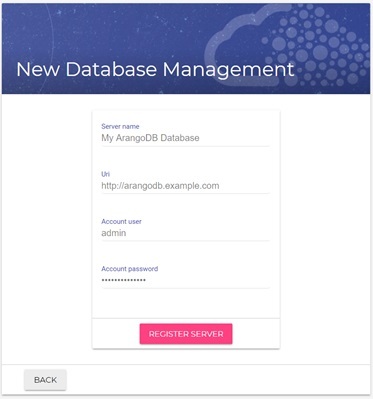 The DataGraft portal can now manage ArangoDB database instances by using administrative credentials to a database. These login credentials and the databases themselves are registered by the user using the ArangoDB Web interface and copied into the DBMS admin page. Two sets of user credentials are handled: full access and read access (these are automatically generated by DataGraft). 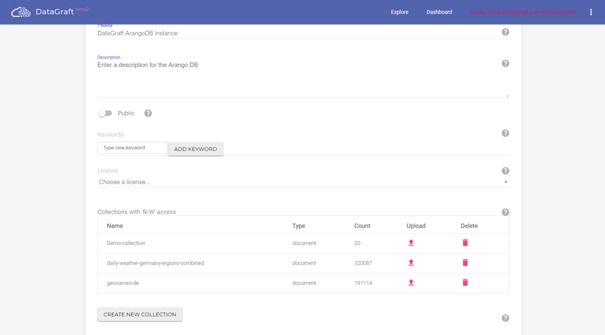 Full access to the database (read and write) is only available for the asset owner, while the read-only access can be used for the public ArangoDB databases in DataGraft (i.e., when exposing a database as a public asset on DataGraft). Using the DataGraft asset creation and editing features, users are now able to directly upload JSON collections (either ones produced by Grafterizer, or others) to their managed ArangoDB instances, as well as provide metadata, descriptions and others. Acknowledgement: The work on the EW-Shopp toolkit (specifically the Grafterizer 2.0 tool) has been conducted in cooperation with the euBusinessGraph project (http://eubusinessgraph.eu/) also co-funded by the EC under HORIZON 2020, The EU Framework Programme for Research and Innovation.